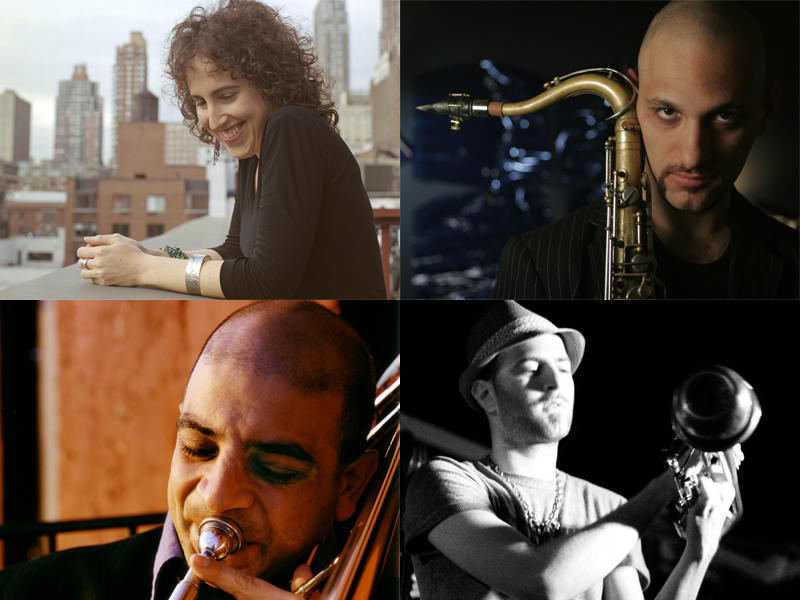 Why Are So Many Jazz Musicians From Israel These Days? : A Blog Supreme For a Middle Eastern country of some 7.5 million, Israel has a surprisingly large musical footprint. More and more internationally acclaimed jazz musicians happen to have come from the country. Hear from four with new records. 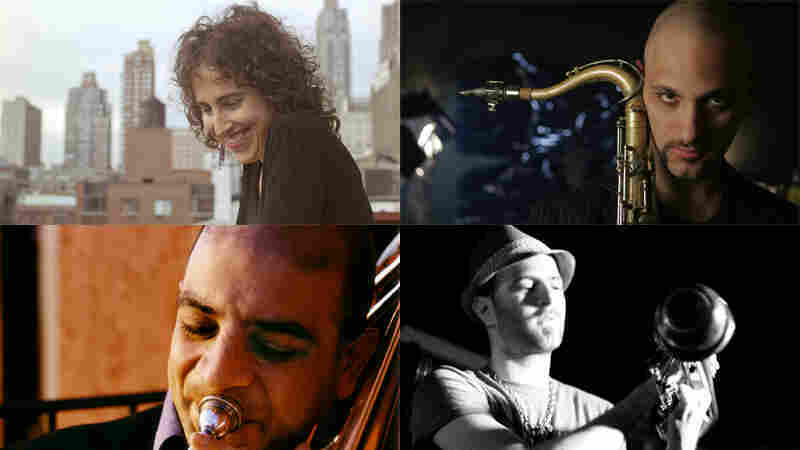 Clockwise, from upper left: Anat Fort, Eli Degibri, Avishai Cohen, Rafi Malkiel. For a country of some 7.5 million, Israel has a surprisingly large jazz footprint. More and more internationally acclaimed jazz musicians happen to be from the country. Twenty-five years ago, the Israeli jazz scene was barely on the cultural map. But enough American musicians moved there, and enough foreign-trained Israelis moved back -- and they started teaching. There's long been an infrastructure for classical music in Israel, and jazz latched onto that model. U.S. jazz schools have since established relationships with Israeli ones, owing in part to long-standing political relations. But observers wouldn't be paying attention to the trend if the musicians weren't exceptional, either, in a lot of different ways and styles. In a conversation with Weekend All Things Considered host Guy Raz, I pointed out four Israeli musicians with standout records released in the second half of this year alone. There are actually two Israeli jazz musicians named Avishai Cohen. One is a virtuoso singing bassist, but this Avishai Cohen here: He's got this round, fat, rich tone on trumpet, and he's got ideas for days. (He also comes from a musical family -- his brother Yuval and sister Anat are also jazz artists.) 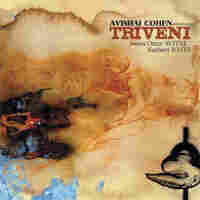 His latest project is a trio called Triveni; Introducing Triveni is the first of two recorded volumes. It features virtuoso drummer Nasheet Waits and another Israeli musician, bassist Omer Avital. Avital was one of the first Israeli musicians to distinguish himself in the U.S. in the 1990s -- he really threw himself into the New York scene. Inasmuch as there exists a loose community of Israeli jazz musicians in New York, Avital was at least an early, if not central, figure. Trombonist Rafi Malkiel didn't name his new album lightly. 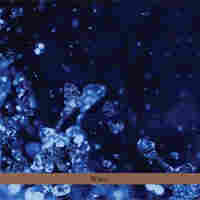 It's called Water: Pretty much all the songs on this record use water sounds, or are built around the theme of water. In one song, he plays what he calls an aguaphonium: he hooks up a mouthpiece to a garden hose into a bucket of water, and burbles through it. More often, he's using deftly recorded water noises as percussion: pouring, slapping, splashing it around. This album was recorded for the Tzadik record label's "Radical Jewish Culture" series, and Malkiel does interpret some Klezmer and Eastern European music here. But he's known around New York largely as a Latin jazz musician -- as is the flutist here, Itai Kriss -- and there are also literal splashes of Afro-Cuban rhythms on this record. 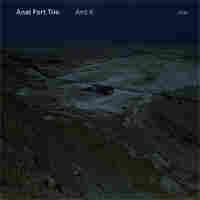 Pianist Anat Fort arrived in the U.S. about 20 years ago, before a lot of other Israeli musicians were coming en masse. She pioneered her own path through the improvised-music community, studying with hard bop masters and never fully connecting with many of her fellow compatriots in the New York area. She's emerged with an idiosyncratic style: a European classical flourish here or there, with a marked interest in dissonant, occasionally free improvising. Her long-running trio (with Gary Wang and Roland Schneider) is the unit on And If, her second disc for ECM Records. They're clearly comfortable with a slow-developing rhapsody, as demonstrated in "Lanesboro" -- named after a Minnesota town where she spent a residency developing her music. If you go through saxophonist Eli Degibri's biography, you learn he largely represents the trend of Israeli jazz musicians, inasmuch as there is a standard route to success in jazz anymore. He studied with some of the folks who came to Israel to teach jazz; he studied at a popular Tel Aviv arts magnet high school; he spent time at The Rimon School, where many a jazz student trains. Rimon has a connection with Boston's Berklee College of Music. After time in a prestigious master's program, he finally made it to New York, where he ended up playing with some of his heroes. 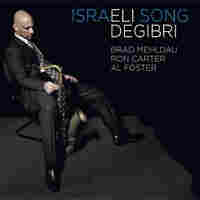 Miles Davis alumni Ron Carter and Al Foster are both on his new album Israeli Song -- Degibri is actually in Foster's working band. And the elegant, fluid pianist Brad Mehldau is here, too: His lilting duet with Degibri in the title track is an album highlight.